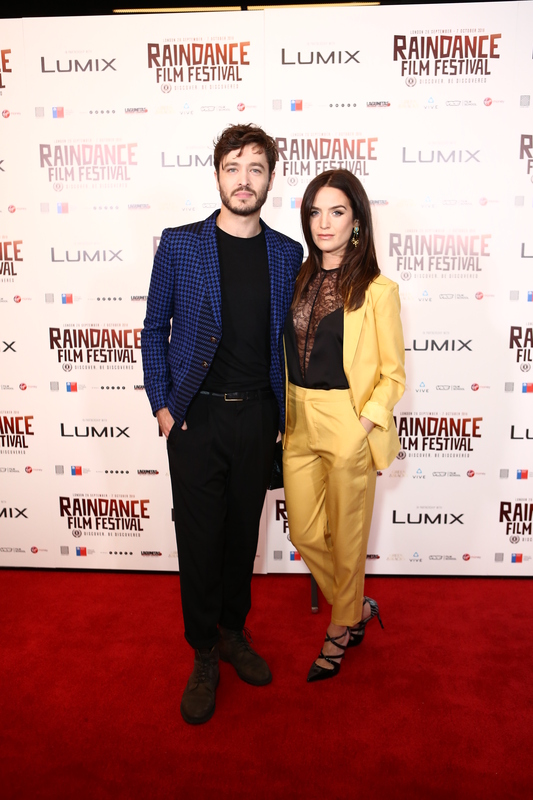 Known for his acting work in popular series such as BBC’s Versailles and Merlin, we chatted to Alexander Vlahos about his move into the Director’s chair, and the upcoming character he’s excited to be portraying on stage. Welcome to the Raindance Film Festival, is it your first time here? Yes, it is. Very excited. Congratulations on your next short film, Lola. Where did the idea for the story come from? The story was written by one of my good friends, Lewis. Lewis and I came from a background of having acceptive parents and also about making a choice to pursue a career in the arts. He took this idea and made it into this drag-esque version of himself and acceptance. He came up with the idea and I needed to find my way into the story and my way in was also having acceptive parents and that idea. Now we’re hoping that’s going to be good. It’s also your first film as a director. How was it to sit in the director’s chair? I loved it! I don’t want to act anymore. No, I still will obviously. It felt like something I’ve been thriving to for a long time now and when I got to do it, I had to pinch myself a few times to feel if it was real. It was very stressful but in a good way. Compared to doing normal acting. When you’re acting, whether it’s for screen or on stage, there are some adrenaline peaks, which are very high, but then at a certain point they drop. With directing, the adrenaline was the exact same throughout the day. It didn’t peak or it didn’t drop. Sometimes I thought ‘this is actually much more manageable for my state of mind, rather than acting’. So we can expect more films from you as a director? Oh yes, hopefully. It’s definitely not going to be the last. It’s the start of me as a director. Apart from acting on screen, you’re also acting on stage. Not so long ago, we were able to see you on stage in York during Romeo and Juliet and now with Christmas we’re going to see you in Hook, another play here in London this time. Yeah, we just had the photoshoot. The pictures looked fun. Me as Captain Hook. I’m very much looking forward to it. Is it more nerve-wrecking than acting on screen because the audience is literally right in front of you watching it live? Well, it’s very interesting as well. It’s why you do it actually because you get the immediate gratification and validation from the audience. When being on stage, there’s no hiding but I really enjoyed that. I can’t wait to play Captain Hook. Ok, good luck with and thank you so much for this interview!